Academic and non-academic researchers are invited to present their research outcome in an interactive manner through a demo presentation. We are looking for new or on-going work on systems and applications that can be presented in an exciting and highly interactive way to the ICT.OPEN audience and ICT companies from small to large enterprises. A special invitation for the ICT business community to attend this session will be distributed. Demo presenters will be provided with an LCD-screen and a high table. 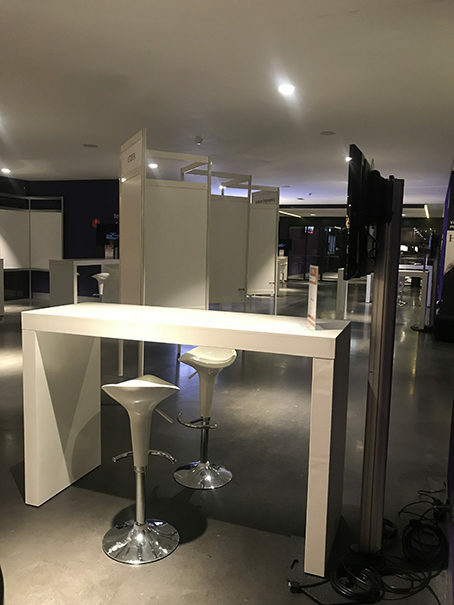 Additional floor space can be requested after submission by sending an e-mail to Diede Oudshoorn at ictopen2019@nwo.nl. Demo presenters will be invited to present their demo on either March 19th or March 20th, depending on the suitability of the demo to the ICT.OPEN research topics. Demo presenters may also be invited to present their demo on Thursday, March 21st, a day organised by the Ministry of Economics and Climate (EZK). Abstract submissions for meet the demo can be done through the call for abstract page. For winning the demo prize, it is required that the first author is present at the plenary closing session of ICT.OPEN on March 20th.